If you're passionate about inspiring students and have a love of learning, we should talk. At Pingry, you will join a vibrant, K-12 community that values education and cares deeply about its students. From teachers and administrators to coaches and staff, we are committed to the mission-driven, student-centered philosophy of our school. Our key pillars are not simply catchphrases. In preparing students to become responsible global citizens and leaders in their communities, we look for responsible, dedicated faculty and staff of integrity who are up to the challenge. And, as a community that celebrates its diversity, we actively seek to represent that diversity among our student body and faculty and staff alike. Pingry offers competitive salaries and generous benefits, as well as rewards and recognition for jobs well done. Because we feel faculty who engage in lifelong learning inspire their students to do the same, we are committed to investing in our employees. Ongoing professional development is a priority at our school. Looking to join Pingry? Search current openings here. The Pingry School seeks dynamic and intellectually engaging teachers to join a diverse academic community. While our hiring season tends to run from late January through early April, we are always excited to make connections with outstanding candidates. Teaching candidates should be committed to helping young people construct their understanding of the discipline in a student-centered classroom environment. We are searching for collaborative teachers with an eye for the teachable moment when moral and ethical questions arise in and out of the classroom. Subject area expertise and an excitement for sharing passions with young people are expected. We invite applicants with diverse backgrounds and perspectives to reach out to Delvin Dinkins, Assistant Headmaster–Basking Ridge Campus (Grades 6 through 12) at ddinkins@pingry.org, or Ted Corvino, Assistant Headmaster–Short Hills Campus (K through 5) at tcorvino@pingry.org. Activities will include: help with homework, disperse snack, provide games and activities while maintaining a safe and secure environment for our students enrolled in the aftercare program. This position will also help coordinate the students participating in the enrichment program and the late bus. This position will support the coordinator who will be on-site. This position is Monday - Friday, 3:30 - 5:30 p.m. every day that The Pingry School is in session (can be flexible). The Pingry School prides itself on a rich history of academic and athletic success. Developing student-athletes of equal passion and character is a priority of our program. We offer over 80 different teams in the Middle and Upper Schools and over 90% of our Upper School students play at least one interscholastic sport. From fielding championship teams to encouraging participation among our youngest students, we aim to cultivate athletic excellence. An important key to our success is our coaches, who are committed to the physical, emotional, and psychological development of our athletes. Pingry seeks to hire coaches who will mentor and motivate student-athletes in their sport while emphasizing their holistic growth. In accordance with Pingry’s Honor Code, we expect coaches to promote qualities such as teamwork, resilience, hard work, and honorable behavior. • Previous participation in the sport at the high school level (college preferred). To apply for a listed coaching position, please submit a cover letter and resume to Carter Abbott, Director of Athletics, at cabbott@pingry.org. All newly-hired faculty who hold bachelor's degrees will continue their education with a master's or other advanced degree within four years of their start of employment. In turn, Pingry provides full financial support, or a loan-forgiveness rate of 20% per year for a five-year period (faculty who remain at the school for the full five years receive 100% forgiveness). 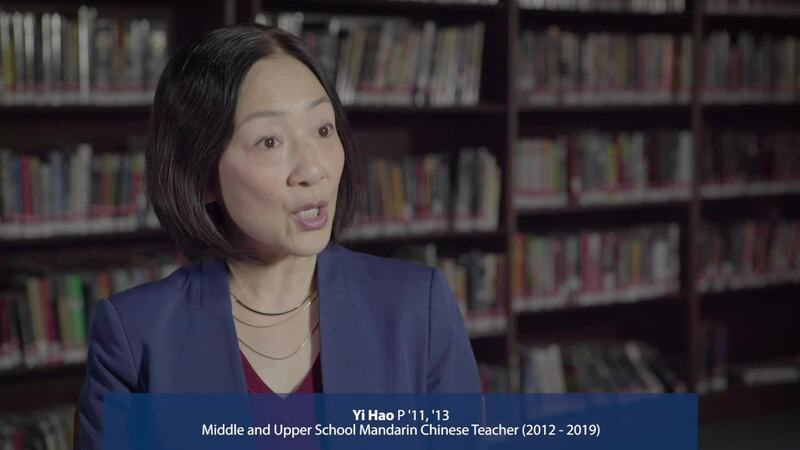 Currently, approximately 70% of Pingry faculty members have earned a master’s degree or higher and more than 20 of our teachers have earned doctorates. Pingry awards nine endowed chairs that recognize outstanding teaching, dedication to students, and contributions to school life. Teachers are always encouraged to propose new courses and approaches that they believe will enhance the curriculum and benefit the students. Pingry encourages teachers to pursue their passions and get to know their students outside the classroom by coaching a team, advising a club, or assisting with a drama production. In every instance, we encourage teachers to strike a balance between “investing” (trying something new) and “harvesting” (working with an existing passion). All full-time Pingry faculty members are eligible to apply for summer fellowships, which typically involve a summer project or trip aimed at enhancing their understanding of the subject area they teach. Teachers have the flexibility to propose their own ideas for approval one year in advance of their summer program. Pingry is supportive of faculty and staff who wish to further their work by attending educational sessions, workshops, or conferences, whether held at Pingry or on an off-site location. It is The Pingry School's employment policy that individuals will receive equal opportunity in all matters pertaining to recruitment, employment, salary, promotion and assignment, regardless of race, religion, color, gender, sexual orientation, gender identity, national origin, age, disability, pregnancy status, genetic information, marital status, amnesty or status as a covered veteran, or other basis proscribed by federal, state, and local law. Decisions regarding employment and promotion will be based upon valid job-related factors. Take a peek... get to know more about us.